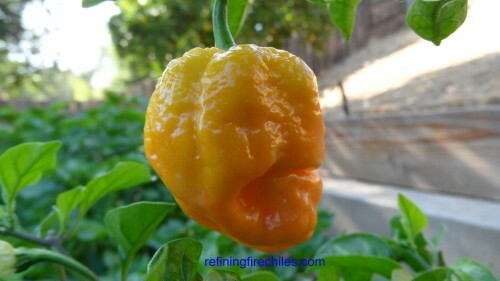 The Trinidad Yellow 7 Pod-Capsicum chinense- is a natural variant of the Trinidad 7 Pot. It has a lower heat level than the Trinidad 7 Pot but also has a nice fruity almost Pineapple like flavor. You are purchasing 6 dried peppers for $4.99.